Pakistan’s Tactical Nuclear Weapon – New Concept For India? 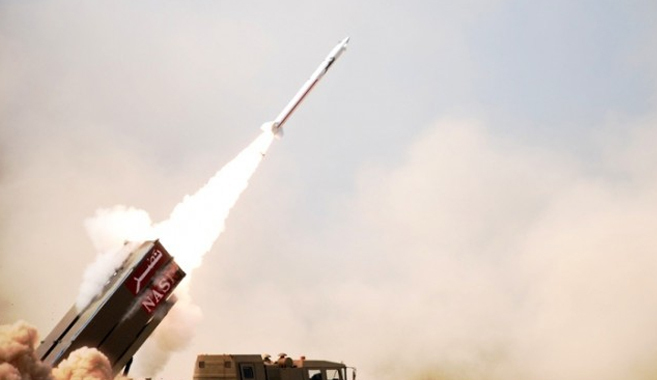 Pakistan as an active player in the region and with the importance it enjoys due to its unique strategic location is wary of any threat, and is vigilant and able to deter every kind and size of enemy. ‘Nuclear weapons are the ultimate weapon for any country’; this is now only a partial truth. After the dawn of nuclear weapons and the bombing of Hiroshima and Nagasaki, the nuclear weapons were considered the ultimate weapon; because after that bombing, there was no country to challenge the might of the US and the Allied powers, and that is why the World War II came to an end. But with the passage of time, and with the development of the delivery systems of the nuclear weapons, the states with nuclear weapons find it difficult to just remain nuclear, without the advancement of their nuclear weapons’ delivery systems. There were many developments in the theoretical realm as well, – many new concepts emerged, like Limited Warfare, Second Strike Capability, MAD, and many more concepts like these were introduced by military scholars. Therefore, the concept that ‘a country that has nuclear weapons is deterrent to any attack’ was shifted to the concept that ‘a country with nuclear weapons that has the best delivery systems has some sort of defense against nuclear-tipped missiles’ and a vigilant eye on the world nuclear advancements is considered formidable. Prime minister for a third time, Pakistan’s Nawaz Sharif wants peace with India and even the Taliban – but don’t expect him to have changed. From an armchair in Pakistan’s version of the Oval Office, Nawaz Sharif points towards the forested slopes of the Margalla Hills. “They are the foothills of the Himalayas,” says the man who reacquired the rights to this office — and to this view — when he returned for a third stint as prime minister in June. 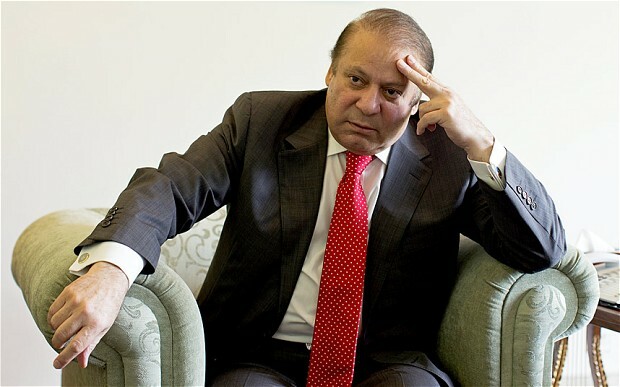 This comeback has given Mr Sharif arguably the toughest job in the world: governing a nuclear-armed nation of 180 million people, beset by terrorism, economic crisis and a perilous confrontation with India. Only last week, the army was hunting for Islamist gunmen in the hills outside Mr Sharif’s window in the capital, Islamabad. Meanwhile, Pakistani and Indian forces are once again clashing along the “Line of Control”, running through the disputed territory of Kashmir, barely 50 miles to the east. Pakistan and China have launched joint war games barely 25 km from the international border along Jaisalmer-Bikaner districts of Rajasthan. The brigade-level military exercise by the People’s Liberation Army’s 101 Engineering regiment began last week and will continue for one month. Independent sources said this was the first time that Chinese troops were detected along India’s western border. According to information from intelligence sources, China is extending all possible help to Pakistan militarily. After assisting in oil and gas exploration in Pakistan, China is now working in close cooperation with it in India’s western sector, providing Pakistan with tank upgrade technology and unmanned air vehicles (UAVs). Officials contacted at the Army headquarters in New Delhi said they had “no specific information” about such an exercise. Another official said Pakistan Rangers conduct annual exercises but there was no information about the ongoing operations. An intelligence source said the PLA’s engineering battalion along with Pakistani soldiers are on an exercise on how to take out tanks and other heavy military vehicles from marshy areas, and how to make way for the infantry by constructing bridges. 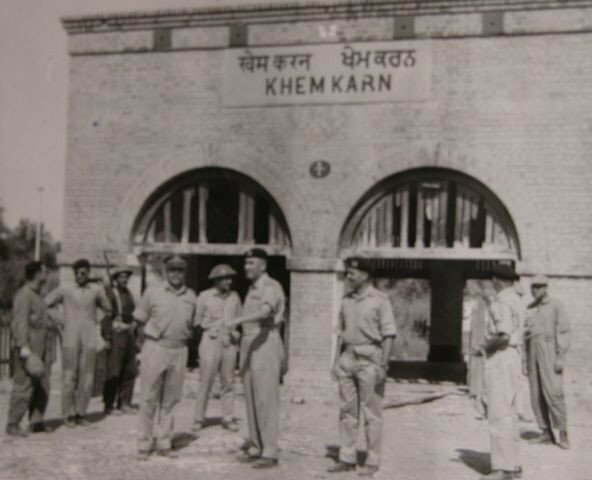 The places where these operations are on are Suryaan and Chor, near Sem Nala in Rahimiyaar Khan in Pakistan, adjoining Tanot-Kishangarh area along Jaisalmer. There is an entire brigade of China for the military exercise there. The source also said that the Chinese battalion along with Pakistan forces are practicing formations and operations along Bikaner district of Rajasthan. One officer, who refused to indentify himself since he is not authorized to speak, said the Chinese army along India’s western border in Pakistan in the name of military exercise is “really surprising, and could prove strategically dangerous for India”. “China under the garb of military exercise has reached India’s western border. This can’t but be a matter of concern for us,” he said. Is USA Arming Anti-Pakistan Terrorists? India invaded and dismembered Pakistan, but US can’t see this. What to make of the US withdrawal from four bases in Nuristan on the border with Pakistan which allowed anti-Pakistan terrorists to regroup and plan attacks on us? What about terrorists brandishing latest US weapons? In 1961, US vice president Lyndon B Johnson shook hands with camel-cart driver Bashir Ahmed during a state visit to Pakistan, patted his camel and said: “You come to Washington and see us sometime.”Bashir’s subsequent twelve-day visit to the US shortly afterwards was a media blaze. On his part, in deference to his guest’s unease with silverware, LBJ even selected a menu where they could all eat with their hands. The high point came when Bashir was addressed as “Your Excellency” by former president Harry S Truman. That moment, Gary Powers’ U-2 take off from Badaber airbase near Peshawar the previous May and the spy plane’s shooting down over the Soviet Union, Prime Minister Nikita Khrushchev’s threat to wipe Peshawar off the face of the earth and public anxiety over this crisis in Pakistan were all forgotten for a while.Fast-forward to June 2008 and a bright Pakistani student, Samad Khurram, refuses an award from Ambassador Anne W Patterson in protest against US attacks on Mohmand Agency. But it was the thunderous applause for Khurram by the educated audience which accurately reflected the depth to which Pakistan-US relations had plummeted. Gary Powers’ flight was a watershed event in many ways, but most significantly it defined a moment when, in spite of being sponsor and signatory to the Bandung Pact, which in essence required us not be drawn into the Cold War and respect other countries’ sovereignty, we allowed the use of our soil in a manner that could hardly amuse our neighbors, something which apparently did not stop even after Musharraf’s speech of January 2004. We ignored a basic tenet, that the security of a state is enhanced more with friendly neighbors than overdependence on distant allies for whom Pakistan will always be a country too far. The result: fifty years down the road, we still need to revisit the fundamentals of Pakistan-US relations, a yearning to start a composite dialogue with India, relations with Afghanistan are unstable and with Iran we are barely managing. It might have been a different scenario if we had not succumbed to the lure of US aid, largely military and to a negligible extent in the social sector. We have no one but ourselves to blame for these missteps as others will always pursue their own national agendas and interests. Reaching out to China and building an “all- weather” relationship was the only sensible foreign policy decision which has stood us in good stead and is an eyesore for the US and India. The foundation of Pakistan as a client state of the US was laid when we mortgaged Badaber in the late 1950s. It also ushered in an era in which the US administration was more at ease with successive corrupt and inept military and civilian rulers who kowtowed to the US and its policies but showed no vision with regard to the long-term interests of Pakistan. Pakistan-US relations in the context of the Pakistani people therefore remained a total disconnect to be fully exploited by the religious right on such occasions as the Rushdie affair and the seizure of Grand Mosque in Mecca in 1979. After the latest slump, the White House has issued a 38-page report to Congress which is an indictment on Pakistan but accepts virtually no responsibility on what increasingly looks like 3-D model of conflicting US policies and incoherence in Afghanistan and Pakistan. Consider: if the CIA has ownership of drones and spies like Raymond Davis, the State Department pushes the nuclear deal with India but opposes the same deal with Pakistan and the Pentagon manages the United States’ Afghan policy in Kabul at the macro level, thus widening mistrust between Pakistan and the US, why then put the onus of the failures entirely on Pakistan? The report ignores Pakistan’s national interests, or they are not given sufficient importance. If the US has clarity on achievable war objectives in Afghanistan, they may be known to a few in Washington and the information is not shared with Pakistan. It is evident that through its heavy-handed policies, US is only interested in lowering militancy threat level on the Afghan side till its drawdown commences and least concerned with any proportionate decrease on this side of the border. Pakistan had been left holding the baby in the past and is unlikely to be fooled so easily this time around. The US makes much of the $8 billions aid and Coalition Support Fund but is insensitive to a nearly $80 billions hit to our economy. In response to the White House report the Congress panel’s recommendations contained little that was new. It cited the usual differences between the US and Pakistan on their threat perceptions which are adversely affecting operations against extremists. It has also alleged that Pakistan’s military establishment has links with banned outfits. India and Pakistan have fought three destructive wars and were on the verge of conflict on at least two other occasions. Any country which has dismembered another through use of force would be a threat by any definition of the word and India fits that bill. Neither the US nor India has any interest in a forward movement towards permanent peace in the region. If this is not a threat situation and the US sees it differently, then so be it. What is one to make of the US withdrawal from four bases in Nuristan on the border with Pakistan which left the north-eastern province as a safe haven for the Taliban-led insurgency to orchestrate local battles? This had a direct negative impact on the Pakistani army’s operations as militants from Afghanistan infiltrated into Mohmand and Bajaur to help the Pakistani Taliban under siege. Al-Jazeera’s footage of Taliban fighters brandishing US weapons has not been denied either. How is the US administration going to explain to the families of its perished soldiers that not only is the US involved in Afghanistan for all the wrong reasons but has also supplied insurgents with weapons to kill their sons and daughters serving in this godforsaken country? Is there any surprise, then, as to why its frustrated, i-pod equipped soldiers are killing innocent Afghan civilians at random as reported recently by the German magazine Der Spiegel? The congressmen’s panel report has asked President Obama to abandon Pakistan and embrace India which, according to Congress, is emerging as the brightest light in South Asia. They have conveniently forgotten that the US has never really embraced anyone in the true sense of the word. It has only used countries along the way and then dumped them when they are no longer required. The Indians are too sharp not to understand this. Foreign Secretary Salman Bashir would soon be on his way to patch up a floundering relationship. A relationship which is cozy today and in the doldrums tomorrow can hardly be helpful or strategic in nature. One hopes he can successfully plead Pakistan’s case for convergence and not divergence of long-term interests between the two countries. If not, it might be appropriate to move away from this fractured “close” relationship to a normal one. The strategic relationship is a misnomer and cannot take us anywhere if we are looking in different directions. We need to focus our energies on improving relations with our neighbors in the region. To be sure, there will be economic difficulties in the beginning as we move away from the US orbit. The Chinese didn’t give up opium in a single day. Our addiction to foreign aid too will take a while to go away. The Y junction on the road ahead and out of the US embrace may well be a blessing in disguise. Britain’s Labour Government regarded the Pakistani army chief, General Ashfaq Parvez Kayani, as a major “obstacle” to an India-Pakistan “deal” on Kashmir, WikiLeaks documents accessed by The Hindu have revealed. The view was based on British Foreign Secretary David Miliband’s visit to Pakistan on November 25, 2008. A U.S. diplomat quotes Laura Hickey of the Pakistan Team of the Foreign and Commonwealth Office as saying that Mr. Miliband’s assessment was that there was a “deal on paper” and both Prime Minister Manmohan Singh and Pakistan President Asif Ali Zardari were “ready” to sign it. “Hickey said Miliband concluded during his trip that it was time to get a deal done on Kashmir. 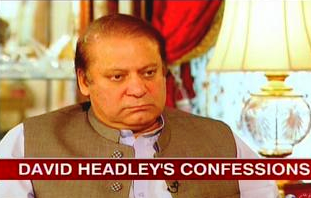 Zardari and Singh were ready, and there was a text on paper. Miliband thought the remaining obstacle was Pakistani military chief staff general Kayani; he remained ‘reluctant’ and needed to be persuaded,” the cable said. “She thought the November 26 Mumbai bombings would likely strengthen his resolve. HMG [Her Majesty’s Government] is nervous, however, that over-reaction on either government’s part could result in a hardening of positions over military action in Kashmir, once again derailing any progress,” the cable said.